Home Security Systems provider. Improves home security and serves as a means to discount home owners insurance. Home Control Solutions brings 30 years of electronic design and installation skill to Santa Barbara County. One call truly does it all. We offer complete smart home electronics from lighting to security to electrical. Sophisticated systems to protect, comfort and entertain in your home or office. CPI Home AV is a leading home automation company designing custom solutions to turn your house into your dream home. Utilizing the latest in smart home technology, CPI can automate features from lighting and shading, to security and climate control. Our home theater systems and outdoor technology systems give you complete control while providing quality entertainment solutions. At CPI, we not only install technology, we build personal systems from the ground up and work with you to design the perfect home theater and home automation system best suited for you. With our team of experts reaching throughout Ventura and Los Angeles, we focus on complete home automation with a comprehensive lighting, security, entertainment and climate control systems. The highlight of our systems, is the ability given to control every aspect remotely. We get rid of the clutter from wall switches and multiple remote controls by condensing all aspects to a simple interface you can have on any smart phone or tablet. Wilshire Media Systems has helped make complex technology simple for over 60 years. We provide advanced, professional, creative resources dedicated to ensuring your project’s success for both residential and commercial arenas. From beautifully integrated design to the finest technologies, we’ll guide you through each step of the design and installation process to make certain you have exactly the products you need, the features you want, and the personal attention that will make the home or office of the future a joy today. Enhance your home, your office and your life; let us show you how. 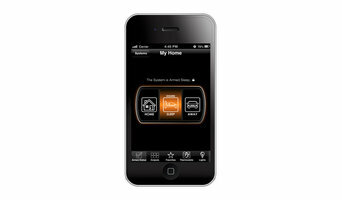 Douglas Technologies is a high end, full service home automation company. We specialize in creating custom systems to meet individual need. Our passion for technology is what drives us to be better than the rest. Our focus is the community that we live in and making the world of technology more user friendly. Ultraviolet AV, INC is a licensed low voltage contractor based in Santa Barbara, CA. We service Santa Barbara, San Luis Obispo, Ventura, Los Angeles and parts of Orange County. We specialize in high end residential and commercial Audio, Video, Security, CCTV, Networking, Lighting Control, Climate Control, Computer Services and Home and Business Automation. We have a field team composed of Designers, Engineers, Automation Programmers, Software and Hardware Designers, Field Technicians and Computer Support Technicians. Smart homes by Design has been creating and installing custom home theater and automation systems since 1998. 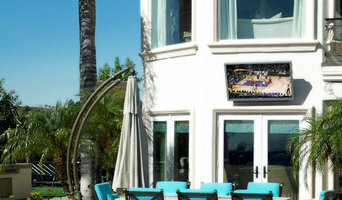 Our mission and key to our success is providing turnkey custom home theaters and automation systems to our customers. From design to installation, every step of the process can be handled by Smart Homes by Design. Smart Homes by Design is a family owned and operated business that prides itself on customer service, close customer relationships and professionalism. We look forward to working with you on your Home Theater or Home Automation Systems installation. Santa Barbara Smarthomes is an award wining technology contractor and provides custom audio & video, home theater, lighting control, automated window coverings, low voltage wiring and computer networking/wifi systems. The Custom Connection is an automation, audio, video, telecommunications, and networking company entirely devoted to creating the ideal technological home environment to suit your lifestyle. Media distribution, home theater, automation systems, lighting control, phone systems, networking, and telecommunications for home and office are all within our realm of expertise. We are proud to be CEDIA certified for over 10 years . CEDIA members are professional technologists providing comfort, control, connection and entertainment for clients to experience the best moments in life in their homes. It is our professional standard and we are proud to go beyond it with a personal goal to provide you with service and support unmatched by anyone else. Here at The Custom Connection we strive for excellence in service. Quantum Integration specializes in the design, installation, and configuration of high-end full home automation systems. Hi Fi Club is an award-winning custom home media firm based in Santa Barbara, California. We have been making beautiful homes smarter, more fun, and easier to enjoy since 1988. Our highly trained staff will design, install and maintain your customized home theater, audio, video or control systems for as long as you own them. Ease of use, architecturally integrated components, and long term system reliability are hallmarks of our 27 years of service. Custom home theater and home automation installation. Join the list of satisfied customers that have used our services. Whether it's new construction, remodeling, installing new equipment or just upgrading, A V Innovations has the answers for you. Find a home media designer on Houzz. 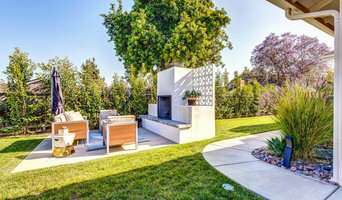 Narrow your search in the Professionals section of the website to Mission Canyon, CA home media designers. You can also look through Mission Canyon, CA photos by style to find a room you like, then contact the professional who designed it.